Adults and carers continue to accompany and support the child throughout each session and the child is rewarded at each stage with bright and colourful Awards. Buoyancy aids (including armbands, floats or a SwimFin etc) can be used in the first four grades as the child learns how to float and gets used to being in the water. The fifth and final grade shows the confidence level of the young swimmers. They have to jump into the water, swim back to point of entry, submerge and blow bubbles, float and swim five metres – all without aid. The National Plan for Teaching Swimming (NPTS – Powered by British Gas) is the national syllabus produced by the Swim England to assist and support the delivery of swimming lessons. The swimmer’s “journey through aquatics” starts with Foundation, a programme for developing early-years water confidence, encouraged through sessions such as “adult and child” and pre-school sessions. This stage is concerned with developing basic safety awareness, the “class” scenario, basic movement skills and water confidence skills. Swimmers may use aids, such as arm bands, floats, etc. Concerned with developing safe entries into the water – including submersion – travel up to 10 metres on the front and back, and progressing water safety knowledge and body rotation skills from the previous Stage, Stage 3 also sees the swimmer being assessed without the use of aids or support. During this stage swimmers develop “watermanship” through sculling and treading water skills and body complete rotation. They also perform all strokes for a distance of 10 metres to a standard provided by the Swim England within the Swim England Learn to Swim Framework. Developing effective swimming skills – including coordinated breathing – across all strokes is the focus of this stage. 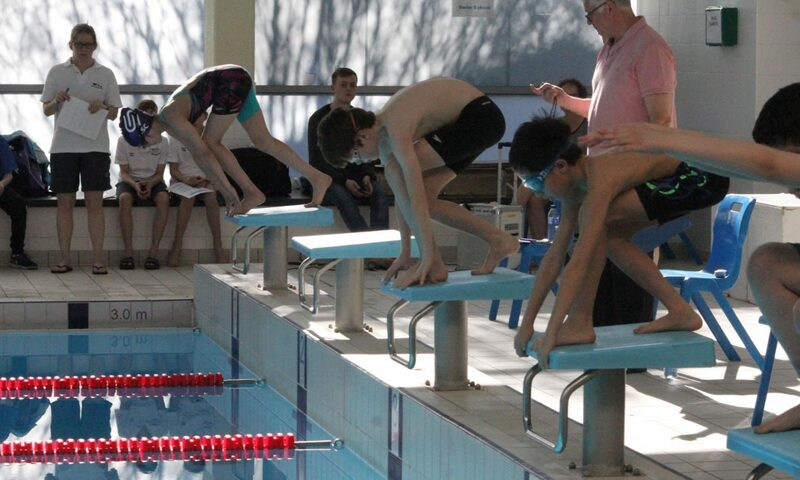 Learners also have to swim a distance of 25 metres using a stroke of the swimmer’s choice. Children also learn about aspects of water safety and about preparing properly for exercise.